AutoLoc's 11lbs power solenoids are designed to pop open the toughest of doors, hoods, and trucks with a push of a button. 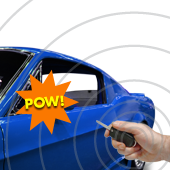 Autoloc’s military grade high torque door pop / latch power in the hands of the consumers. AutoLöc solenoids are immune to the rusty or sticky latches that will burn out lower quality solenoids. 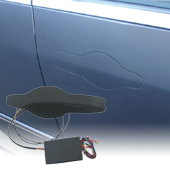 This makes AutoLoc’s solenoids ideal for popping open shaved doors, and stubborn latches. Can be activated by remote for remote door pop, or shave door operation. Check out our other solenoids in various size and power. Featured on several TV shows including Monster Garage, and Pimp My Ride AutoLoc kits deliver where all others fails. Insist on the best, and insist on AutoLoc and you be glad you did. For more information please go over to http://www.autoloc.com .